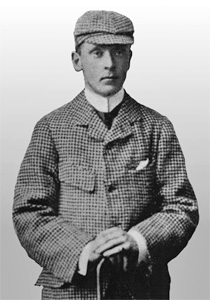 In the summer of 1881 Thomas Sinclair spent a holiday in Scotland, which included a visit to St Andrews to play golf. He was immediately smitten and on his return home he sought out George L Baillie, a local teacher and an experienced golfer, originally from Musselburgh in Scotland. 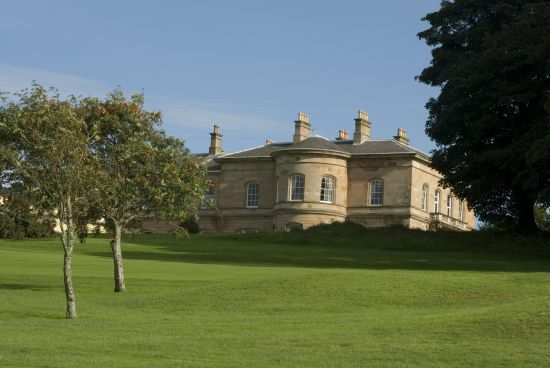 Together they approached Captain John Harrison, the Laird of Holywood, who generously gave permission for a golf course to be laid out free of rent on his land at Kinnegar, Holywood. These frontiersmen of golf wasted no time and the first 18 hole competition took place over the new 6 hole course on Boxing Day 1881. 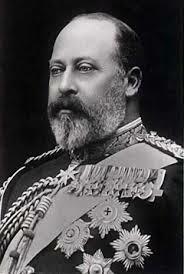 In 1885 the Club became “Royal” after the Prince of Wales (subsequently King Edward VII, pictured left) was invited to become its Patron during a visit to Ireland. The current Patron is HRH Prince Andrew, Duke of York. What are believed to be the first golfing trophies in Ireland, early RBGC monthly medals, are today on view in the clubhouse. In 1892, as the game grew in popularity, the course became overcrowded and the Club relocated to a new 9 hole course in Carnalea, near Bangor. Club life was peaceful and prosperous and the fine Club spirit which prevailed has endured to the present day. 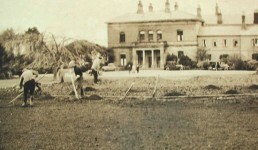 After World War I the Club moved to Craigavad House and its beautiful 140 acre estate, on the shores of Belfast Lough near Holywood, a home originally built in 1852 by Mr John Mulholland, who was later to become the 1st Lord Dunleath. In 1925 Council made the wise decision to appoint the eminent course architect of the day H S Colt to take full responsibility for the design and layout of the course. He produced a course of great charm which remains much the same today as it was then, a tribute to the enduring excellence of its original design. The new course opened in September 1926 and over the years has played host to a number of championship events. In recent years our facilities have been extended but continue to retain their early charm and we are proud to have among our Members Mr Rory McIlroy who is often observed enjoying the challenges of our golf course. Whatever the future holds one thing seems certain, for as long as it remains a golf club Royal Belfast will have its home at Craigavad, an environment that is so natural and fitting that the Members would have it no other way.